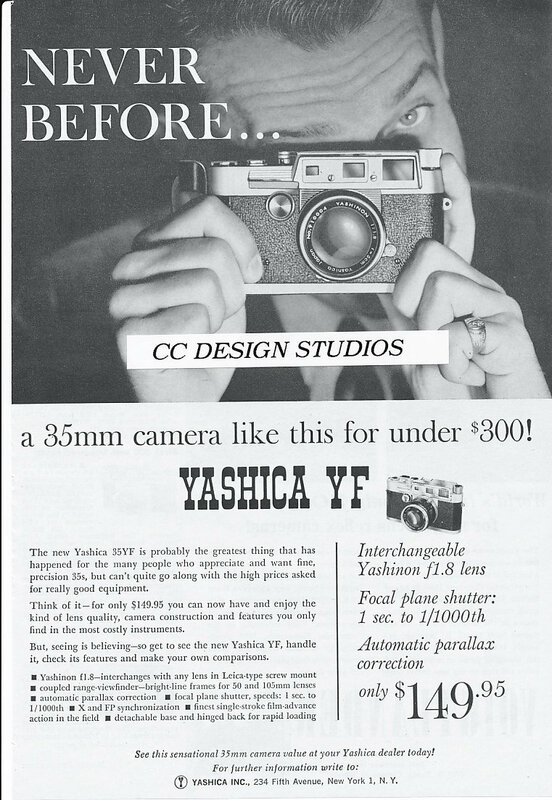 Sharp vintage advertisement for the Yashica 35mm YF film camera. Full size magazine ad from January 1960. This is an original ad... not a copy. CC Design Studios will not be on your ad. Great collectors item or perfect for framing. Approximate size is 7 1/2 x 11 inches. Mails flat and in a plastic sleeve within 24 hours of your payment!